Another day and we have another list of firmware for LG smartphones. Today we want to share with you LG K20 Plus firmware. Here you can find complete list of available firmware and guides how to install it. First, let’s recall main features of this smartphone. LG K20 Plus was released in December, 2017. So, it is quite new Android phone. The smartphone is shipped through US carriers, such as T-Mobile, Verizon and others. As for specifications, LG K20 Plus comes with 5.3-inch screen and HD resolution. It works on Snapdragon 425, 2GB of RAM, and 16/32 GB of storage. Other features include: 13MP rear camera, 5MP front camera, 2700 mAh battery. It is interesting that LG K20 Plus runs on latest Android 7.0 Nougat system. So, if you are interested in LG K20 Plus, you can buy it from US carriers. It is really interesting smartphone for its price. However, we think that you are looking for LG K20 Plus firmware. We have a complete list of available firmware, and we are ready to share it with you for free. We advice you to read our article how to install KDZ firmware. Use the following link to download LG K20 Plus firmware. 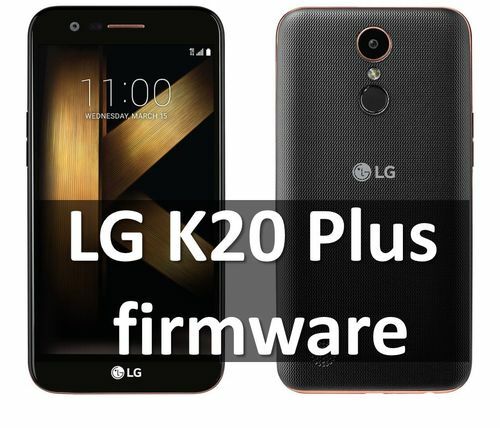 Also, here you can read another toturial how to install LG K20 Plus firmware. Many people use Recovery Mode TWRP. You can download it and read how to install TWRP on LG K20 Plus. Hope our article was useful for you. If you have any questions, write in comments below. We’ll try to help you with LG K20 Plus firmware, and other things associated with this smartphone.